Oh, god. Please help me. 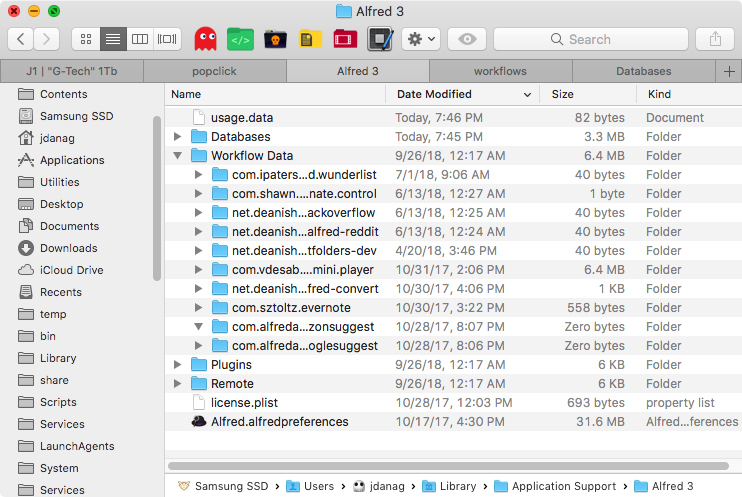 After updating to Alfred 3.7.1, all my data, including weeks (months?) worth of workflows are completely gone. They are not in ~/Library/Application Support/Alfred 3/. They are not in ~/Library/Application Support/Alfred 3/Alfred.alfredpreferences. They are not in Dropbox folder or Dropbox website. They are not inside any package contents. 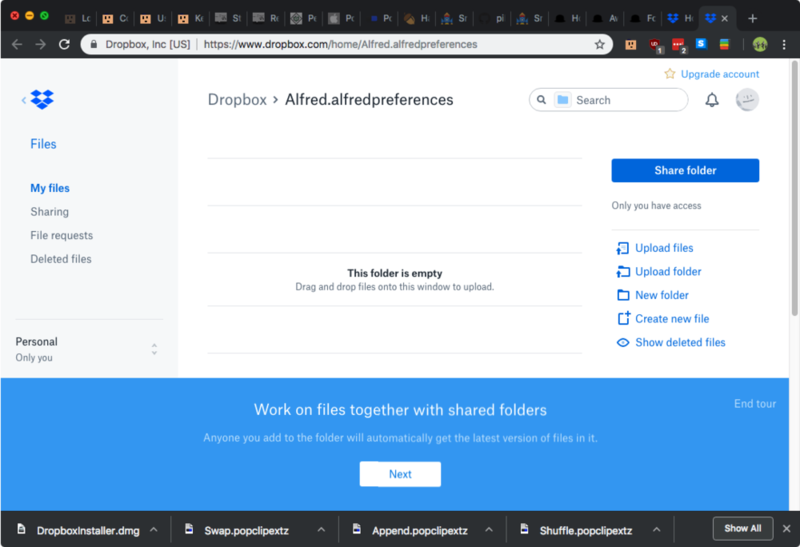 The "synced" Alfred Preferences file, which I synced with Dropbox right before updating, is empty: There's nothing inside it. 0 Bytes. Please tell me this isn't as bad as I think it is. Ready to jump off a bridge. The only files/folders that show as being modified today are ~/Library/Application Support/Alfred 3/Databases and ~/Library/Application Support/Alfred 3/usage.data. How can that be? Is there a solution there (please)? The Alfred.alfredpreferences isn't touched in any way during update, so the issue you're seeing is coincidental with the update rather than caused by it. 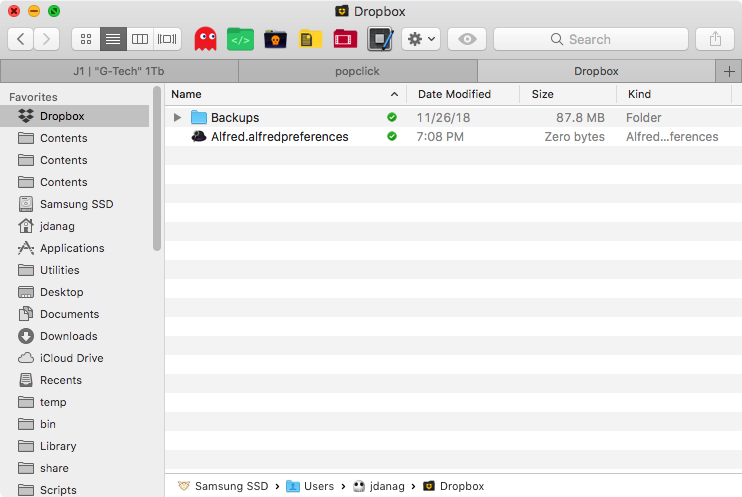 If you set up multiple Macs to sync to Dropbox at the same time, that may have caused some confusion. 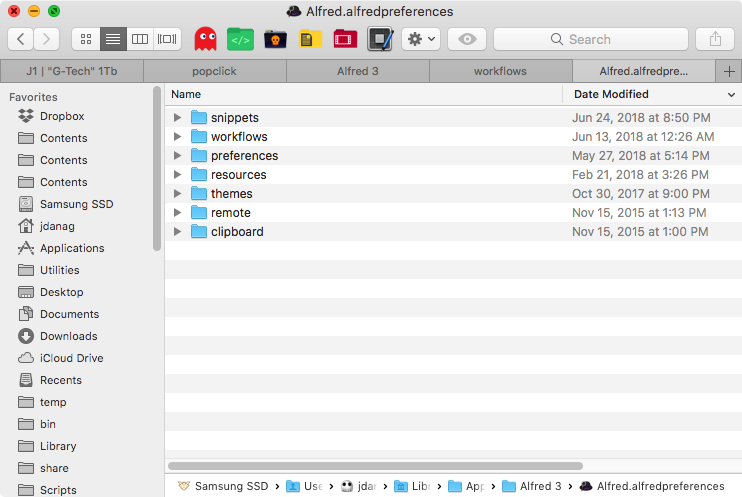 I can see in your second screenshot that there's still an Alfred.alfredpreferences file in the Applications folder, so if you've only just synced the preferences, they'll still be stored in the original Application Support folder, as Alfred doesn't delete the original preferences. Email us to info@ from your registered Powerpack email address and I'll help you resolve this. In your email, can you also let me know whether you use Time Machine to back up your Mac?